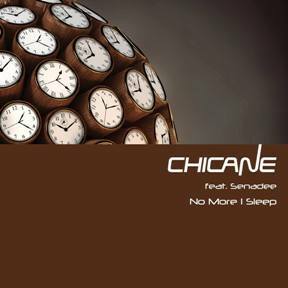 Along with WAY OUT WEST, CHICANE aka Nicholas Bracegirdle, originally flew the flag for UK melodic dance / trance / breakbeat. Born into a scene which also included Brian Transeau, Paul van Dyk and Ferry Corsten, he has maintained an enviable run of club-conquering singles which also crossed over into the mainstream music charts. These included early tracks ‘Offshore’ and ‘Sunstroke’, both of which were recorded on limited equipment and were soon followed by the Number One UK single ‘Don’t Give Up’ featuring Canadian rocker Bryan Adams and a subsequent Top 10 with ‘Saltwater’, a re-work of the seminal ‘Theme From Harry’s Game’ featuring re-recorded vocals by CLANNAD’s Maire Brennan. Born in Chalfont St Giles, England, Nick now spends his time between Scotland and the French Alps, where he enjoys a successful DJ career. 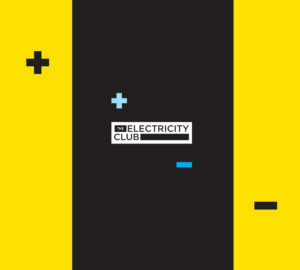 With the release of CHICANE’s new single ‘No More I Sleep’ this month, Nick Bracegirdle kindly spoke to The Electricity Club about his formative musical influences and his viewpoint on how electronic dance music scene has evolved and been re-branded as EDM. I’d like to start by looking at the music that influenced CHICANE, when I first heard ‘Offshore’ there seemed like a strong TANGERINE DREAM influence in there? Not so much for ‘Offshore’, maybe ‘Sunstroke’; I have a special place in my heart for TANGERINE DREAM’s work on ‘Risky Business’ but ‘Offshore’ was actually more inspired by Don Henley’s ‘Boys of Summer’. I know they don’t sound alike, but in terms of mood and sentiment they are very similar. It is indeed and is a homage of sorts; JEAN MICHEL JARRE was the first electronic music I heard and inspired me to become a electronic artist in my own right, so it seemed only right to pay my respects as such. Do you think artists such as VANGELIS and JEAN MICHEL JARRE get enough recognition and respect when it comes to their influence on electronic dance music? Umm, I guess so, their star is fading now as time moves on and peeps do forget how influential and groundbreaking they both were. I have to cite them both as pioneers in the field of electronic music and without peers too. Put simply for me they are both gods, not only for what they did in an era where it was technically very difficult, but for also their approach to melody. It’s this that draws in most admirers. The 2009 single ‘Hiding All The Stars’ featured a re-work of GARY NUMAN’s ‘Cars’, are there any other synthpop pioneers which have influenced your work? Well, I did also grow up on a diet of SIMPLE MINDS and TEARS FOR FEARS… two fantastic bands who did some epic songs. Making well-produced electronic music or trance in the late 90s was potentially an expensive business with the hardware that was required back then… a single sound module would have cost the same as that of a current Apple Mac – how has producing changed for you through the years? Today, simply the studio is a moveable feast, its all done in the box, be it a Mac or PC. Unless you are recording an orchestra, the days of massive mixing desks are gone too. No more outboard effect racks either or a room full of synths that go out of tune. So the approach hasn’t changed much really, it’s just become easier. I used to believe that you had what you wanted, and after all the interfacing with the equipment you got what you got. Nowadays you can pretty much get what you want!! Is it true you mixed your first single on a really budget Boss mixer? Yes indeed, a Boss BX16 channel mixer, with just treble and bass eq… amazing what one can do if you put your mind to it!!! ‘Don’t Give Up’ is probably one of your most well-known singles – early on the identity of vocalist on the track (Bryan Adams), was kept secret, what sort of a reaction were you expecting when the cat was let out of the bag (so to speak)? Well we did have the coolest jocks spinning the tune and I was expecting disbelief and annoyance that they had been duped into playing a tune by a supposed uncool dude. As it happened that didn’t really materialise and things went rather well. By its very nature, the music business is very cyclical and in last couple of years we’ve seen the return of instrumental electronic tracks returning to the charts, how do you view the whole EDM scene, its success in the US and the way it’s been packaged? What good can I say about this ridiculous rebranding of dance music as ‘EDM’ as opposed to ‘ADM’ acoustic dance music that is? I believe it now refers to a genre of music made by chimpanzees who sadly got access to a studio… some of it is so bad it’s untrue! What has happened is that these chimps have worked out how to make these tracks sound big in terms of dynamics, mad builds etc. What is lacking is any soul or meaningful melody. The other problem is these kids have seen there is huge money to be made in the US with this s*** and are simply cashing in, it’s about money, not music. They copy each other blindly and pretend to be DJs. I think young musicians have seen someone like Martin Garrix have success with a bloody awful couple of tunes and think that that is the way forward… it is not I can tell you that. Ok, rant over now…!! Has the recent resurgence in interest in melodic electronic dance music re-opened the doors for CHICANE? I don’t believe the doors every shut did they? Music is circular and comes and goes with the times. I believe a great tune is just that and will always find a way. During your career you’ve experienced the highs and lows associated with the industry, was the low point when your ‘Easy To Assemble’ album was leaked and subsequently pirated, eventually leading to it not being official released? Yeah I guess so, there have many highs and lows; dealing with the industry on the whole is enough to give you an ulcer! I think it’s really struggled to keep up with how music is sold now. It’s also sad how the industry, with the help of certain individuals, has de-valued music and given the artist a much harder time. It’s not generally known, but you’ve written songs for other artists (including Cher and Paul Young), this must be a different process than self-producing your CHICANE tracks? Not really, I am a songwriter at heart and the process is the same really, it’s about core melody, arrangement and great ideas. How do you feel that in some quarters CHICANE could be unfairly perceived as a sampling act, seeing as many of your biggest tracks have featured interpolations or replays of other artists’ songs? I have never knowingly been branded a sampling act? How strange? Some of my big tunes are original works: ‘Offshore’, ‘Don’t Give Up’, ‘No Ordinary Morning’, ‘Stoned In Love’. But I also have a talent for re-interpretation and interpolation, but have always done this in a way that is not blatant or unimaginative. For instance on ‘Saltwater’, Moya Brennan from CLANNAD came and re-sang the core melody of ‘Theme From Harry’s Game’. But what was important, was we then wrote new melodies on top and gave the piece a whole new identity. I don’t think I have ever been thought of as some cut ‘n’ shunt sample monkey!!!! I think you have to be a leader and not worry too much what people think!